Mausu Production has released a press on Saturday announcing that seiyuu Tooru Ookawa will enter indefinite hiatus due to a sickness not mentioned. 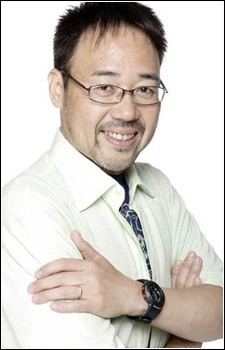 Ookawa voiced various roles such as Mattalast Balory from Tatakau Shisho: The Book of Bantorra, Arawn from Tears to Tiara, Albert Heinrich from 009 Re:Cyborg, Toshio Ozaki from Shiki and more. His recent roles are Masachika Kouda from the 3-gatsu no Lion series, Keiji Hase from Youkai Apartment no Yuuga na Nichijou, Sengoku from the One Piece franchise, and more. It was recently announced that he will cast as Ichinosuke Okajima from Killing Bites. He's been pretty active lately, especially as antagonists. Get well soon, Colonel! What will happen to Sengoku?! Will One Piece just replace him for now? This is quite worrisome :(. I hope it's nothing serious and he gets well. I hope his state is not too serious and he will recover soon.